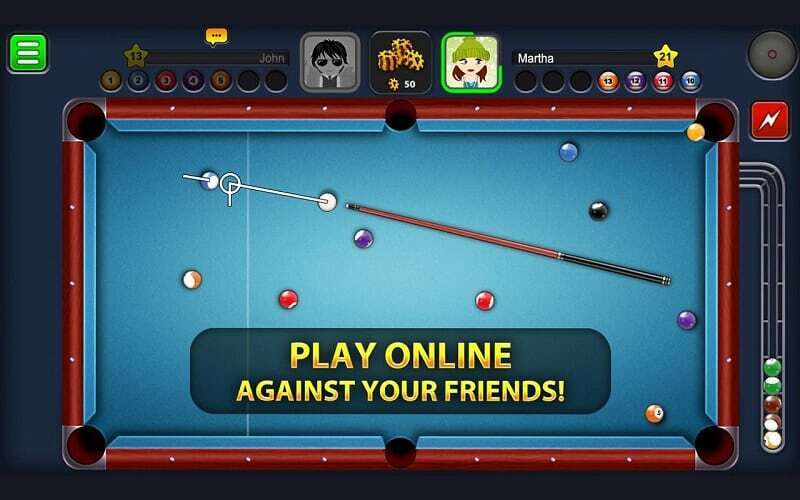 8 Ball Pool is one of the most popular Android and iOS games that one should probably not install on PC, unless they’ve got plenty of “free-time” on their hands. This snooker game is extremely addictive on a large screen. Once you learn the controls, you can start humiliating your opponents- friends and other real players, who may be struggling to have a clear view on their mobile devices. 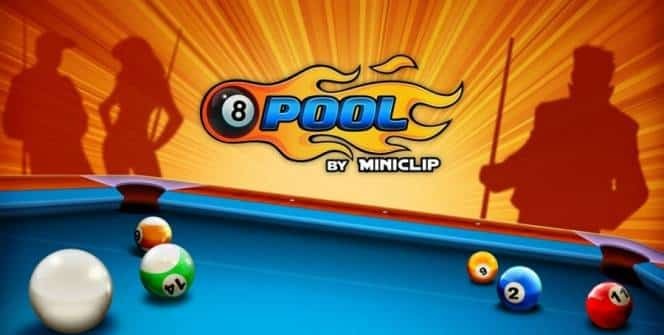 In this article, we provide you with a step-by-step guide on how to download and install 8 Ball Pool for PC on Windows 7/8/8.1/10/XP and MAC desktop/ laptop. 8 Ball Pool is simply the biggest & best multiplayer Android, iOS and online pool game that can also be installed on PC. The free game provides you with an opportunity to play billiards against other real players and friends in 1-1 matches, participate in tournaments and win big, level up & earn pool coins for your wins, customize with cues and cloths in the Pool Shop, etc. To get to know more about this game, download and install 8 Ball Pool for PC on your laptop or desktop. The game comes with two types of balls; solids & strips. One player is expected to pot stripes while the other pots solids. If you are playing 8 Ball Pool for the first time, it can take a while before you can get used to the controls. But the game features simple game rules and players get free game hints and help. You’ll also be able to practice alone for 25 coins only. Just learn how to get the perfect angle, as well as how to control the speed & spin of the cue ball, and you’re good to go. Note: As mentioned above, the game is quite simple to play. But it gets a little bit complex as you move forward. At higher levels, accurate aims are no longer enough to guarantee you a win. You’ll have to strategize every move you make as you pay close attention to the placing of the cue ball. The game allows you to sign in with Facebook or as a guest. Once you are logged in, you are expected to select the tournament that you would like to take part in, and then you’ll be matched with another player- either your Facebook friend or a stranger. You can also play with friends and strangers by searching their player name or user ID. When you sign in to the game for the first time, you’re awarded free coins. If you’re unlucky and end up losing games to the extent that you deplete all your coins, you shouldn’t be worried. You can wait for your coins to increase hourly (25 coins per hour), watch short videos and earn coins or buy coins using real money. Note that you’ll also receive coins by winning games. While in this forum, you’ll be able to get the latest news from the developer, organize matches and tournaments, make friends, compare stats, etc. Use coins to buy Pool cues, colors, patterns and chat phrases, table frames, Pool Cash and Pool Coins from Pool Shop. When you unlock new items, the game becomes a little bit easier to play. Note that cues have different statistics and choosing the right one will help you become the 8 Ball Pool Champion. 8 Ball Pool comes with beautiful graphics and quality sound. There are thousands of other real players online, so finding someone to play with won’t be a problem. You’ll love the game’s incredible two modes (Time mode and 1vs1). The classic 8 Ball Pool Tables and gameplay makes it addictive. The game features occasional spins of a wheel for a chance to win more coins. Use the chat phrases to communicate with the other player. Share trick shot video with the developer and wait to see if it can make it to the best trick shot masterclass videos on the developers YouTube channel. 8 Ball Pool for PC is a fun game that’s highly recommended for anyone who would like to entertain themselves and pass time. The game’s easy-to-expert difficulty makes it challenging and entertaining. When it comes to the gameplay, it really doesn’t matter how good you are with a cue in real life. Isn’t that amazing? To become the next 8 Ball Pool Champion download this free full version billiard game using the step-by-step guide outlined above. Sometimes when playing 8 Ball Pool, bluestacks ask you fee to pay but gives you option to download some apps. Every time it asks you just select “Install apps” and continue using it free. I hope you enjoyed this article, please rate and share. If you have problems running 8 Ball Pool on your desktop or any other issues, leave a comment below.